Norton Brook Medical Centre, Cookworthy Road, Kingsbridge, Devon, TQ7 1AE. Redfern Health Centre, Shadycombe Road, Salcombe, TQ8 8DJ. 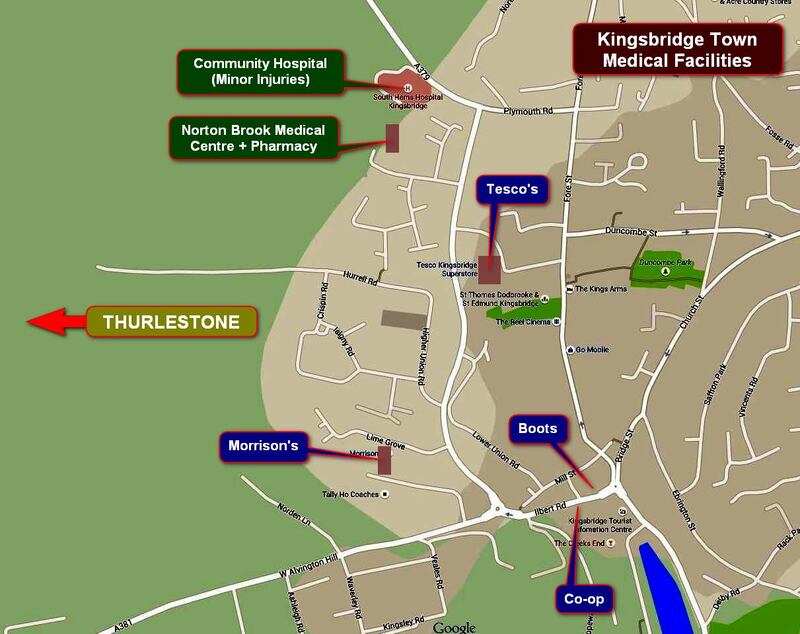 There is also a minor injuries unit Community Hospital in Kingsbridge.